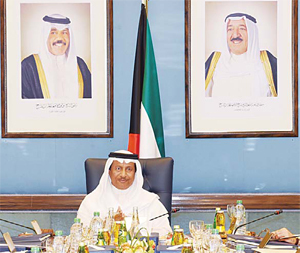 His Highness the Prime Minister Sheikh Jaber Mubarak Al-Sabah chairs the weekly Cabinet meeting. 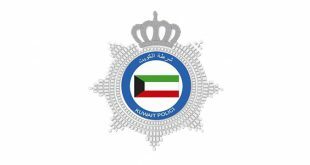 KUWAIT CITY, Aug 14, (KUNA): The Cabinet on Monday appreciated and commended the sincere efforts of security personnel, and their ability to arrest the members of Al-Abdali terror cell. 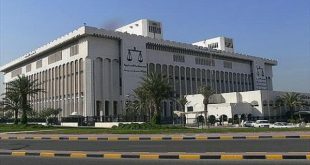 Vowing to bring the cell’s convicted members to justice, the Cabinet assured security forces would be constantly vigilant in order to safeguard national security, Minister of State for Cabinet Affairs Sheikh Mohammad Abdullah Al-Mubarak Al-Sabah said in a statement following the cabinet’s routine weekly meeting. 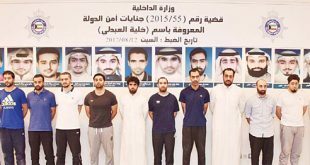 Kuwaiti security forces had arrested 13 fugitives involved in Al-Abdali terror cell. 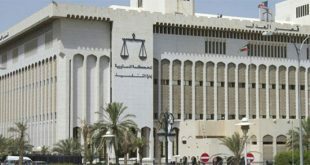 The Cabinet wished the country everlasting security and stability under the wise leadership of His Highness the Amir Sheikh Sabah Al-Ahmad Al-Jaber Al-Sabah and His Highness the Crown Prince Sheikh Nawaf Al-Ahmad Al-Jaber Al-Sabah, said Sheikh Mohammad Abdullah, who doubles as Acting Minister of Information. Concerning recent oil spots in the country’s southern coasts, the Cabinet highly extolled the efforts and measures of the Ministries of Oil, Electricity & Water and Environment Public Authority in controlling consequent oil pollution and securing vital facilities. 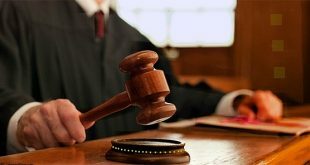 Meanwhile, the Cabinet approved a draft decree on the new makeup of the Supreme Council for Planning and Development (SCPD), including His Highness the Prime Minister as Chairman and Sheikh Nasser Sabah Al-Ahmad Al-Sabah as Deputy Chairman, along with 15 members. At the onset of the meeting, the Cabinet voiced happiness at the recent successful medical tests and home-return of His Highness the Crown Prince Sheikh Nawaf Al-Ahmad Al-Jaber Al-Sabah, wishing him everlasting wellbeing and good health. The ministers then listened to a briefing by His Highness the Prime Minister on the outcomes of the recent visit by Lebanese Prime Minister Saad Al-Hariri to Kuwait, as well as his talks with Kuwaiti officials on bilateral relations, Arab and regional issues and efforts to promote regional and world security and stability. First Deputy Prime Minister and Foreign Minister Sheikh Sabah Khaled Al-Hamad Al-Sabah apprised the ministers of the outcomes of the recent visits paid by him and Minister of State for Cabinet Affairs and Acting Minister of Information Sheikh Mohammad Abdullah Al-Mubarak Al-Sabah to GCC member countries and Egypt to deliver letters from His Highness the Amir to the leaders of these countries, as part of efforts to resolve the Gulf crisis. Furthermore, the Cabinet mourned, with much sadness and desolation, the death of Kuwaiti iconic actor Abdulhussein Abdulredha, appreciating his great and distinct art contributions. On the other hand, the Cabinet expressed sorrow at the recent crash of a UAE helicopter in Yemen, which claimed the lives of four soldiers. It also offered condolences to the Egyptian government and people over the train tragedy in Alexandria, wishing a swift recovery of the injured. Finally, the ministers condemned a vehicle run over accident in Paris earlier on Wednesday as a terrorist act, reiterating Kuwait’s rejection of all forms and manifestations of terrorism.